Thank you so much for considering me to capture these once-in-a-lifetime moments for you and your family. I understand that these short moments are priceless and irreplaceable, and for that reason, I want to ensure my photographs will bring you joy each and every time you look back on them. I aim to provide timeless, classic photography and this is why I offer only the best in terms of both quality and longevity for your family. In order to book a photography session, I do require a fee to be paid upfront. This session fee reserves your spot on my calendar, ensuring you don’t miss out on your preferred date and timeslot once baby is born. 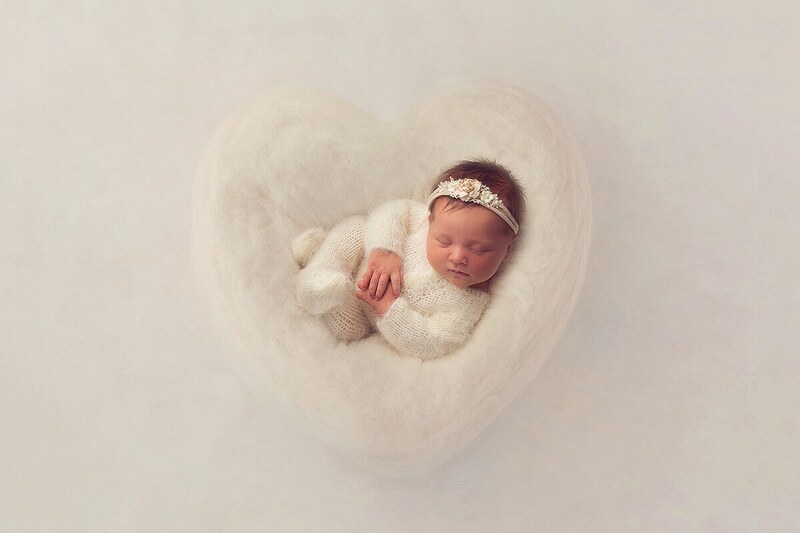 Newborn Session fees are $225. This fee does not include any photographs or digital files. Following your session you will be invited back to the studio to view your photographs. It is here at your ordering appointment that you will see your photographs and purchase only what you love. You can spend as little or as much as you like! My job is to take beautiful photographs that you love and will treasure forever. I offer a 100% money back guarantee if you do not like your photographs, however if you are like most of my families you will want them all! And to assist you with this I offer credit card facilities and and interest free payment plans with PayRight. An ordering appointment will be scheduled approximately two weeks after your session. Here you will be able to view 20 of your beautiful photographs, professionally retouched to the highest quality. There is something uniquely special about holding a portrait of someone that you love in your hands – it is an amazing feeling of joy that everyone should have the opportunity to experience. This is why Always Belle Photography is proud to offer printed copies of all your gallery, rather than limiting clients to digitally exclusive products. I believe that printed photographs are the only way to archive your beautiful memories. 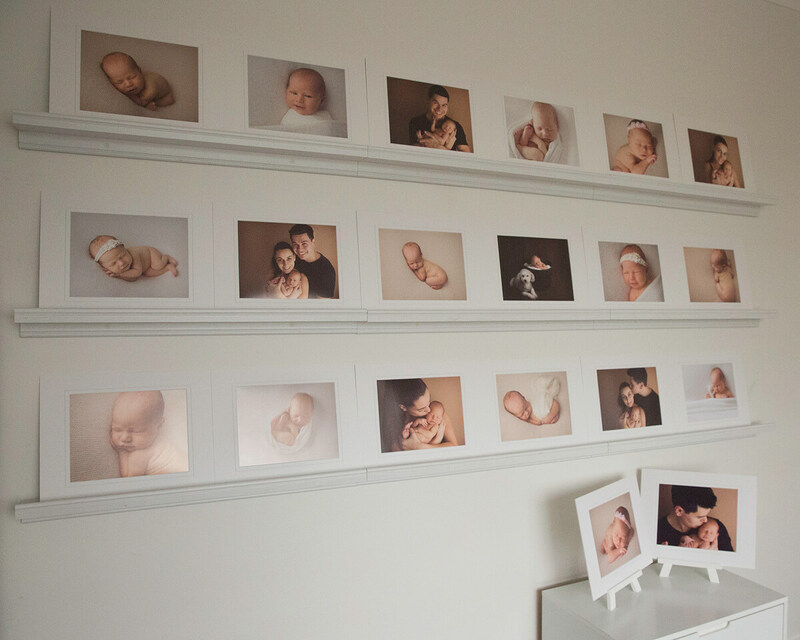 Your reveal session will be your first opportunity to see your beautiful gallery on the wall in front of you. Now the hard part will be deciding how you would like your photographs displayed! Would you like something for the wall? An album to sit on the shelf of coffee table? 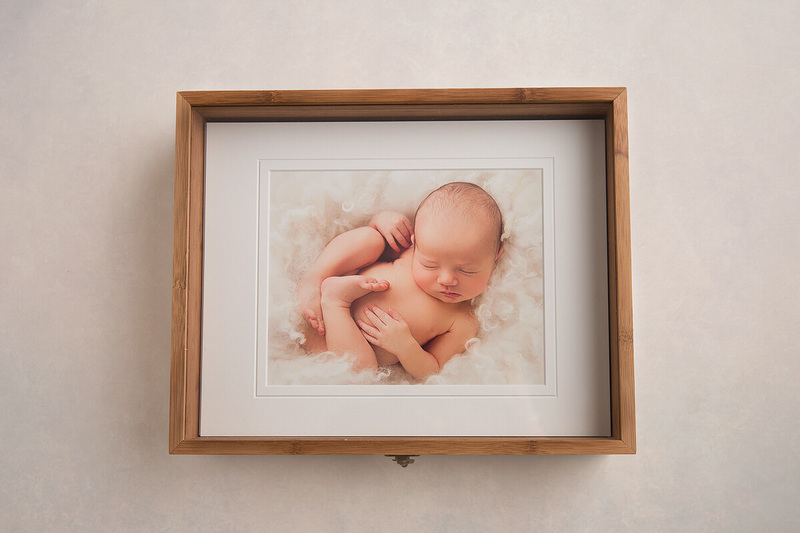 Or simply take your matted photographs home with you on the day in your beautiful portfolio box to be gifted, framed or displayed at any time. You can spend as little or as much as you like! My job is to take beautiful photographs that you love and will treasure forever. To give you an idea, my clients tend to spend between $900 and $3000 but there is no obligation to do so and photographs start from $175. I offer a 100% money back guarentee if you do not like your photographs however if you are like most of my families you will want them all! And to assist you with this I offer credit card facilities and and interest free payment plans with PayRight. Explore the gorgeous range of products below to be inspired to create something perfect for you and your family. 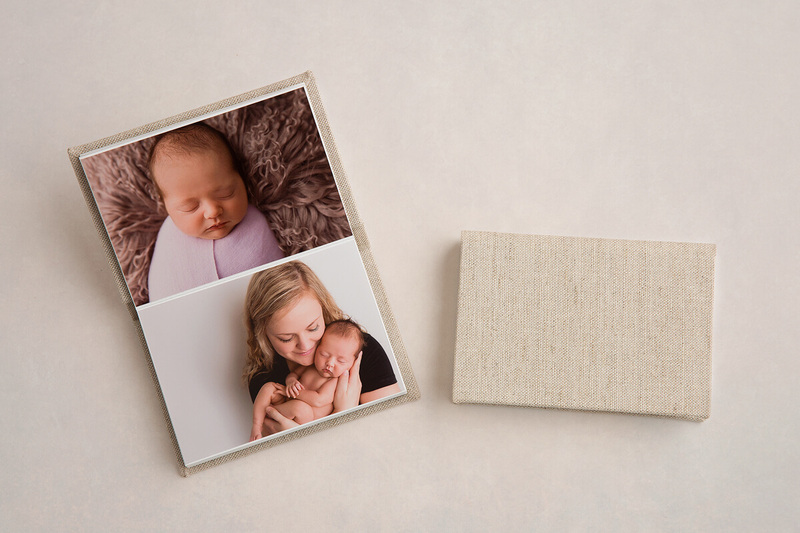 Made from eco friendly and sustainable natural bamboo, these new signature boxes are available to store, protect and display matted 8x10″ photographs. 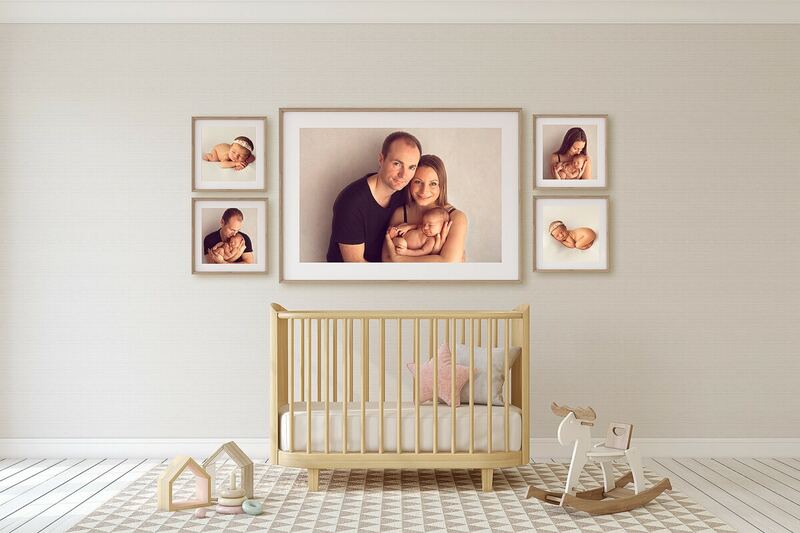 With many different beautiful designs and layouts to suit any home, these gorgeous pieces of wall art come in a frame, canvas or the unique infinity frame. Design a wall especially for your home with a large collection or simply add a statement piece to your folio box collection for a smaller wall or area. Wall art starts from $275 ready to hang on the wall. These matted photographs are 8x10″ in size and are indivually matted in a white 11x14″ matt. These photographs are ready to be placed into any store bought frame, be gifted to grandparents or other friends and family, displayed on an easel or stored away in a box for safe keeping. 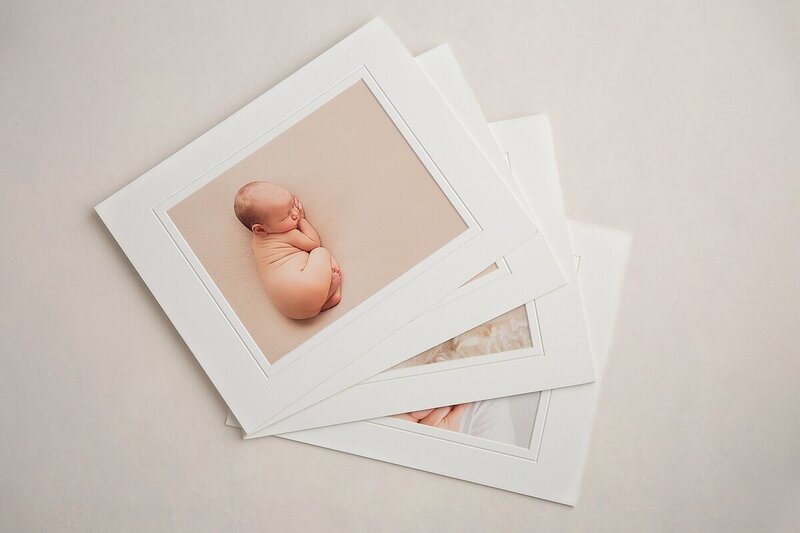 If you love the matted photographs on your reveal wall but don’t think a folio box is right for you, an album is a beautiful way to have beautiful memories kept in one place and to walk down memory lane with at your leisure. This stunning little bragbook comes as a 3.5x5″ album that is the perfect gift for grandparents or keepsake from your session. Holding 20 photographs from your session, these linen covered bragbooks are the perfect addition to the handbag of any mother or grandmother. Whilst the digital negatives do not come on their own, rest assured they will be provided to you with any of the photographs you purchase. These files will be high resolution and come in an online gallery that can be easily shared with friends and fmaily who will be able to download from here too. These galleries are password protected and only accessible with a personal link that will be emailed to you after your session. Please remember to back these files up in several places as they can easily be lost!